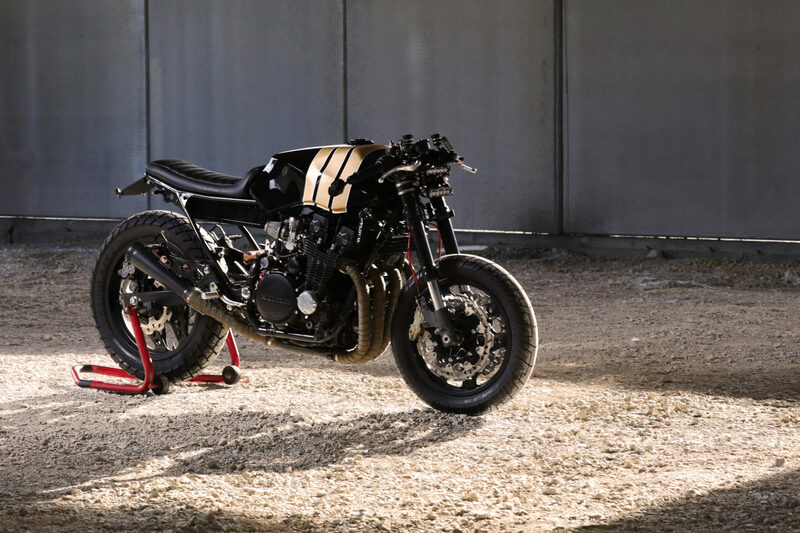 Honda CBX 750F "La Maja Desnuda"
It seems like there is a fashion for CBX around the corner, as this is another one featured within a couple of weeks apart. 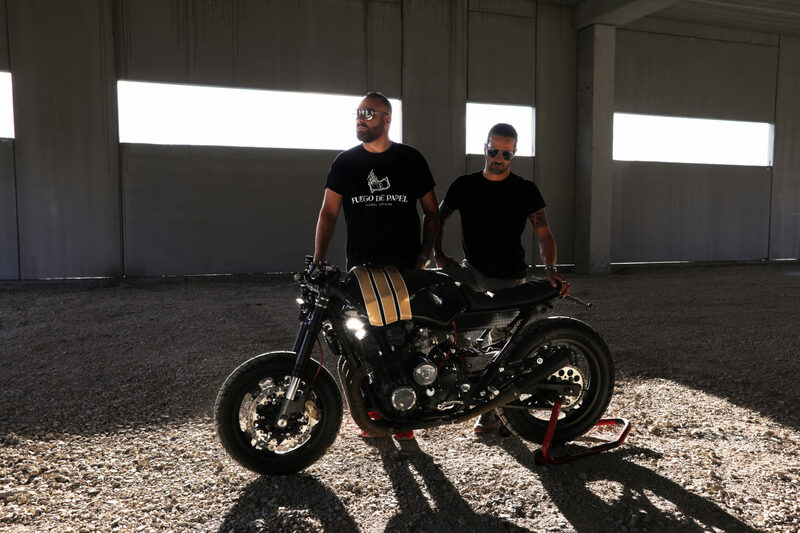 This particular build has two fathers: Francesco “Paura” Curci (designer and well known Italian rapper) and Angelo “Low” Caliendo (builder and customizer). The nickname “La Maja Desnuda” comes from a famous painting by Francisco Goya. Two reasons speak for the name choice. 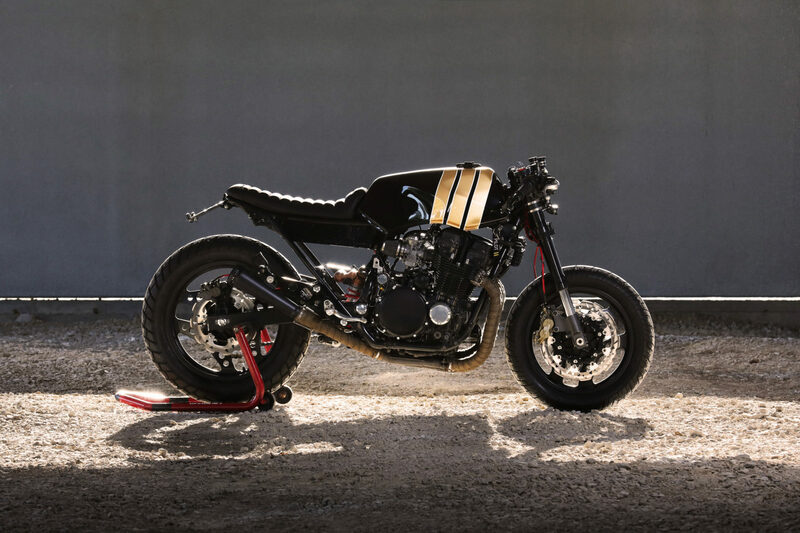 One – the original CBX was stripped down of the fairings and all unnecessary equipment. Two – it is supposed to cause a stir. 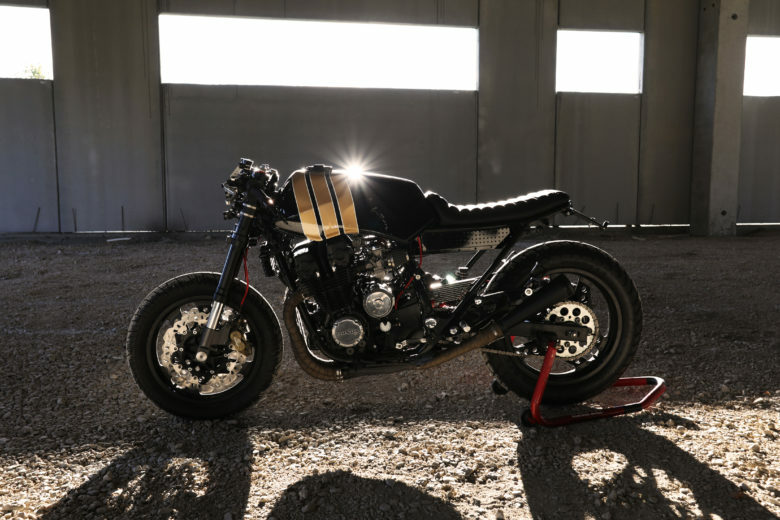 Like the famous painting back in the day, it was quite controversial – the CBX fans and owners usually like to keep their machines stock. 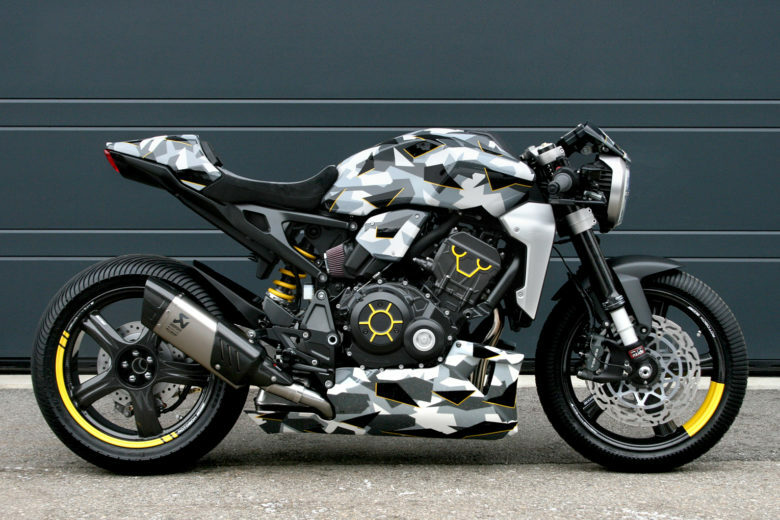 So here it is – a CBX like no other. 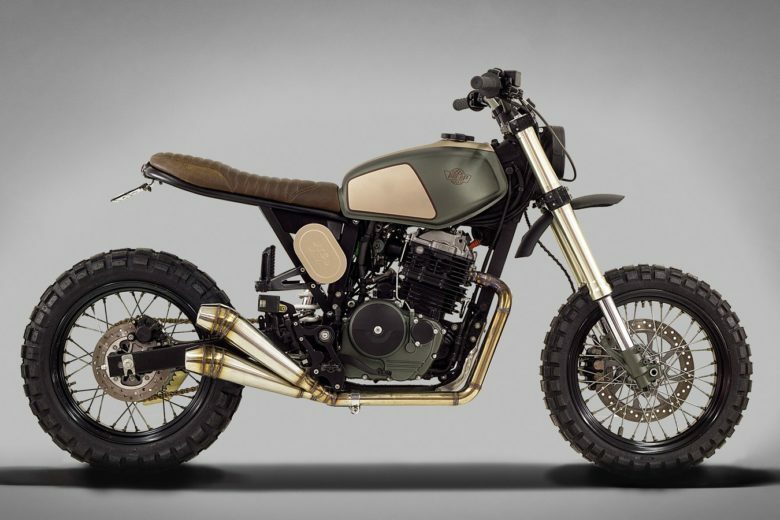 Not being too provocative – the donor bike was already irreversibly modified. The frame was cut, and the front forks were already swapped with Aprilia RSV 1000. It was virtually impossible to restore the thing. The only alternative to scraping the bike – was to complete the work. 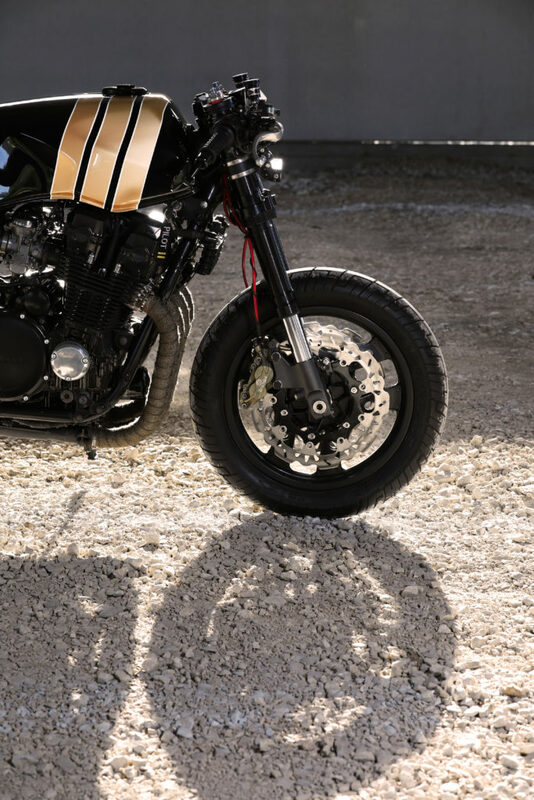 The mods include the suspension, front brake set with custom-made rotors, lightweight battery, digital speedo and LED headlights. Electrics were rebuilt completely. The ignition key was removed from the instrument cluster. 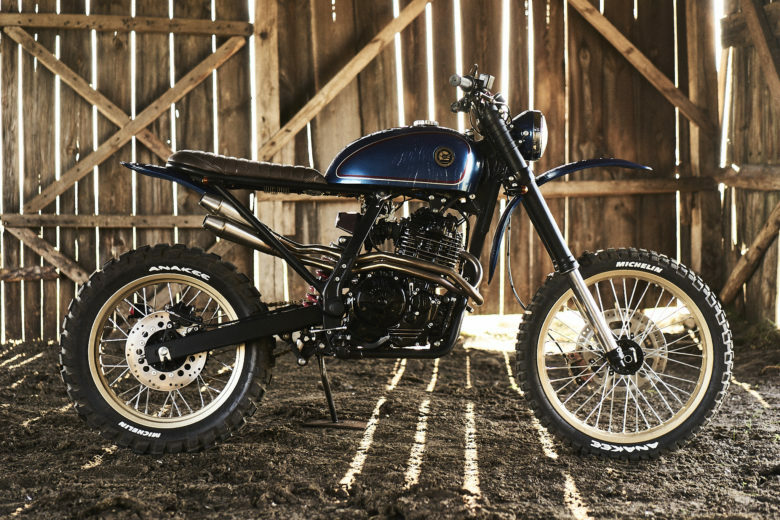 The oil cooler was relocated from the front fork to a more typical location – in front of the frame. Airbox is gone, replaced with individual pod filters. The tank was “cleaned up”. 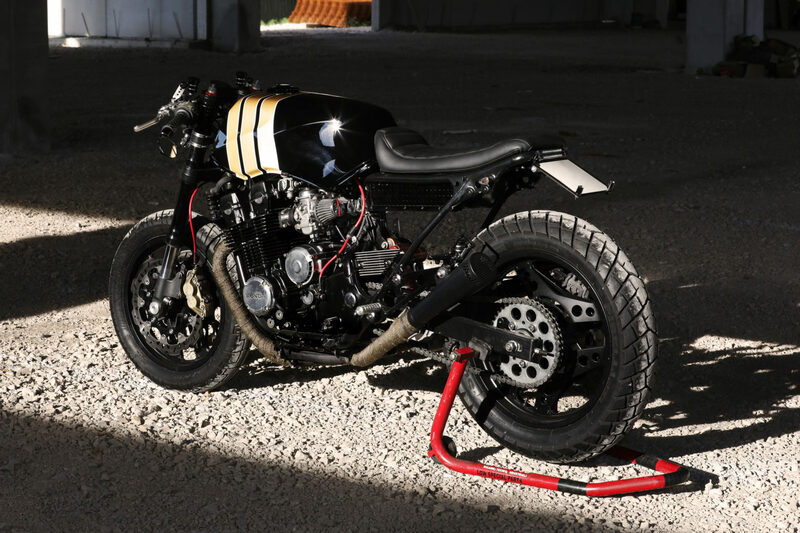 Then covered with carefully chosen custom paint – as the new owner is a guitar collector – specialising in black and gold instruments. 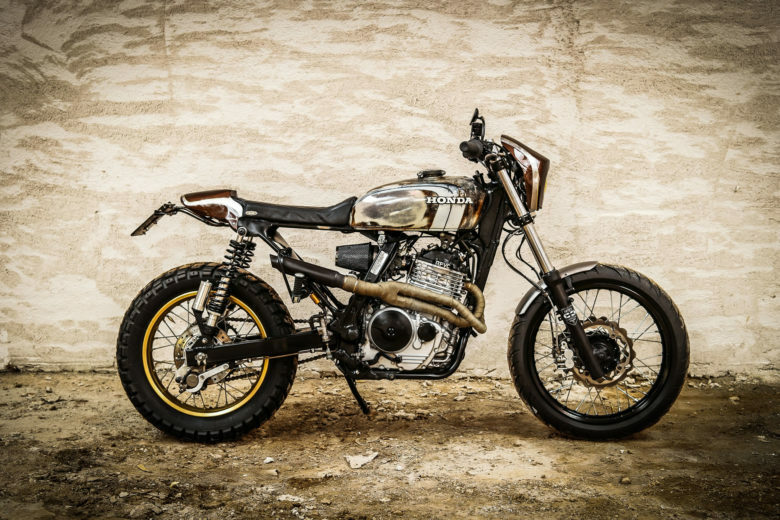 All the above was to complete the “naked bike” project while saving a bruised and modified classic. Respecting the original tank, but keeping it as simple as possible. And here it is. Thank You guys for sharing this build!